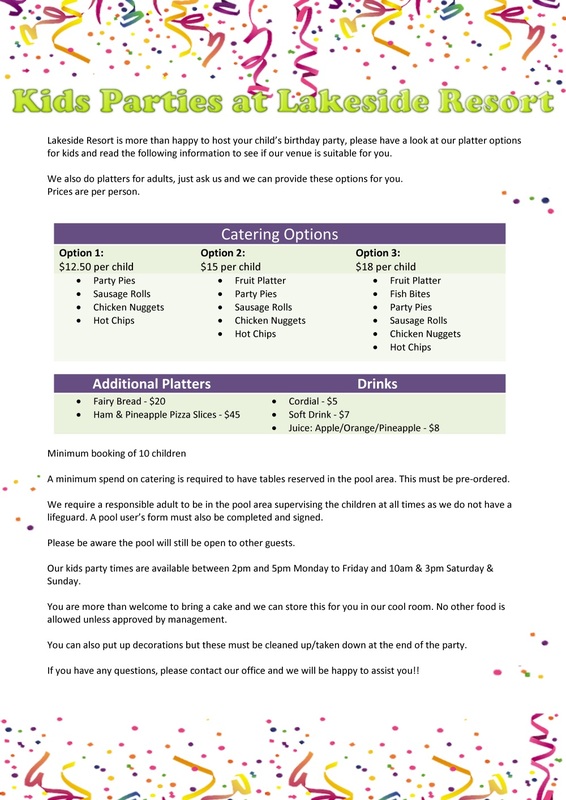 Lakeside Resort is happy to help you organise your function, whether that be platters by our sparkling pool, or a formal sit down dinner, we have many options available. Maybe canapés and champagne by the lake? Call us to discuss dates and prices as we are sure we can find a suitable option. Children’s parties by the pool are always a hit. 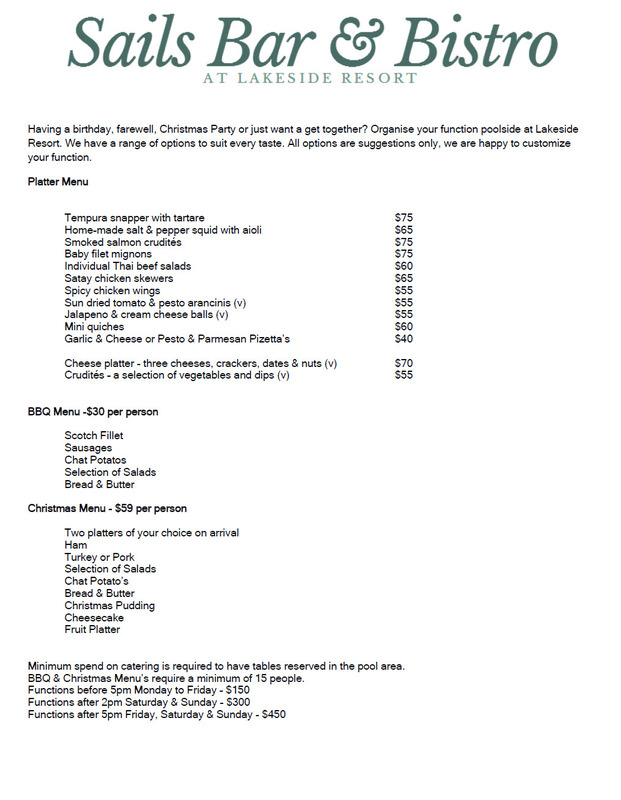 Please call us to discuss suitable menu, budget and dates.